Going away for the weekend need not be such a hassle. With all the planning, packing, shopping and driving that goes into getting away for the weekend its easy to just leave it all and stay at home. 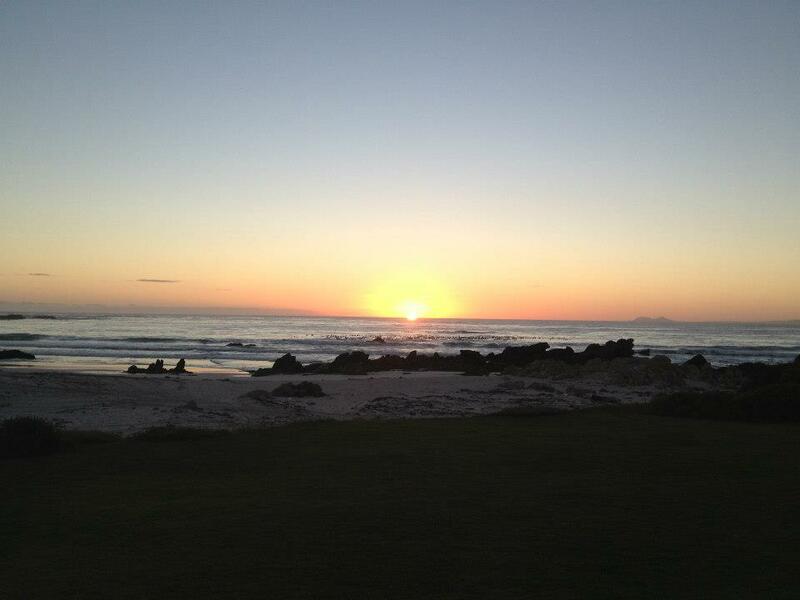 If you stay in the Western Cape there are an abundance of weekend getaway destinations to choose from. We have gathered together a few wonderful weekend destinations that are under 2 hours drive from Cape Town. The list starts with the closest weekend getaway and ends with the furthest. We hope you get some inspiration for your next weekend getaway from this list! The times and kilometres were calculated by using Google Maps on a Friday afternoon at 2pm, just after you take a well deserved half day off at work! The City of oaks or Eikestad as Stellenbosch is affectionately known is the second oldest town in South Africa. It has some of the most beautiful and well preserved Cape Dutch buildings in all of South Africa that today has been turned into either a trendy coffee shop or restaurant that seems to always be busy. 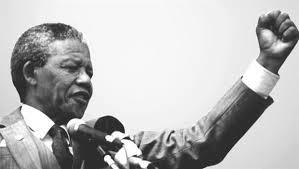 This town has a very rich history which stretches back to 1679 when Simon van der Stel, whom the town is named after, declared the area north of the Eerste River a village. The best way to explore the town is on foot or on a bike, which can be rented. 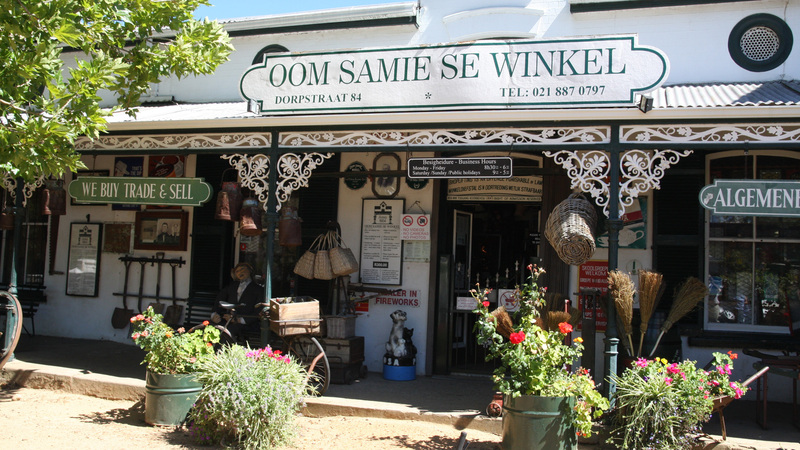 Oom Sammie’s Shop which is an old style farm shop is one of the biggest tourist attractions in Stellenbosch. The town has so much to offer for wine and food lovers. Java Café, Brampton, Manouche and de Oude bank Bakkerij are some of the popular restaurants and wine bars in town that is frequented by locals and foreigners alike. 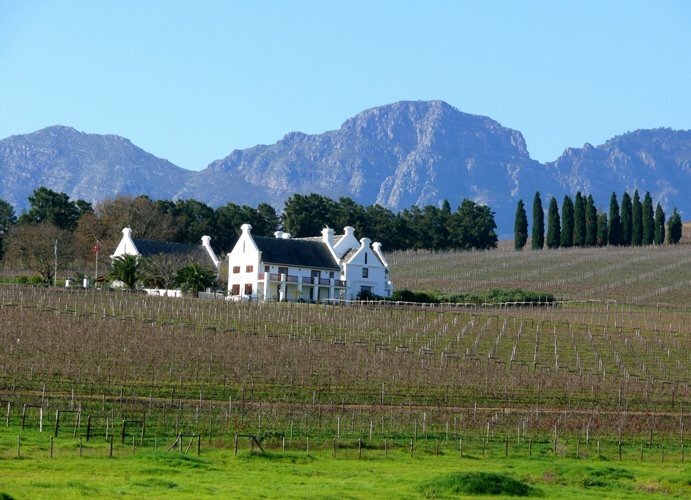 Obviously you cannot go to Stellenbosch without tasting some wine on one (or two) of the many world class wine estates that are situated outside of Stellenbosch. 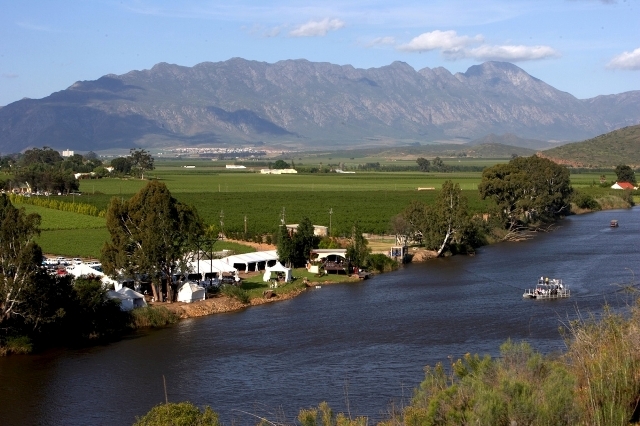 Beyerskloof, Rust en Vrede, Simonsig and Muratie are some of the wine estates that are open for tastings to the public. I think we can all agree that a wine tasting trip sounds like the best option for a weekend getaway! 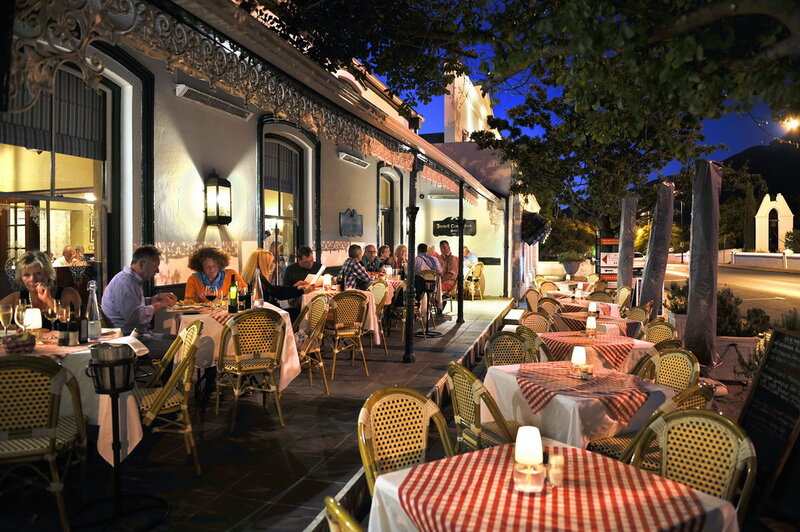 Local tip: Gino’s Pizzeria in Stellenbosch is without a doubt the most popular restaurant in Stellenbosch. Here you can have great wood fire pizza with some great wine from the area. The restaurant does not do reservations, so be sure to come early to secure your table. Franschhoek is where the French Huguenots came to settle in 1688 hence the name Franschhoek, which means French Corner in Dutch. The area was first known as Olifantshoek because of the big number of Elephant herds that inhabited the area around 300 years ago. The last elephant was seen departing the valley in 1850. The French refugees who settled here named their farms after the areas in France from which they originated, many of these names like La Motte, La Cotte and La Dauphine are still around today. Today the town is one of the most popular tourist destinations in South Africa with foreigners by the bus load visiting Franschhoek every day. The coffee shops, galleries, restaurants and boutiques are very popular. The town also offers great chocolate and cake tastings at various establishments, something that those of you with a sweet tooth should be sure to try out. 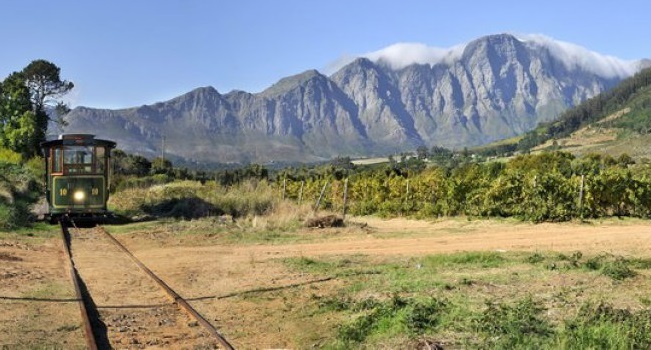 Like Stellenbosch you cannot visit this town without going for a proper wine tasting tour, hopping on the wine tram is the best way to do so. The tram is a hop on hop off tour which takes you to various wine farms where you can have lunch and taste great wines, what’s not to love? Local tip: The Franschhoek Motor Museum is a must for visitors to Franschhoek. It is situation on the L’Ormarins Wine Estate about 14km outside of town. The collection of cars is one of the finest in the world with various Ferraris and F1 cars on display just to name a few. The Elephant and Barrel is a great local pub and grill where you can get cold beer and hot food, what more do you need? Darling is the heartbeat of the west coast situated just 25km from the coastal town of Yzerfontein in wine and flower country. The area is known for its production of great wines and beer and for having beautiful blooming flowers during the Namaqua flower season in spring. The wine and beer that is made in the area is what makes Darling popular among city dwellers. The Darling Brew tasting room that is situated in Main Street is well worth the visit for beer lovers. 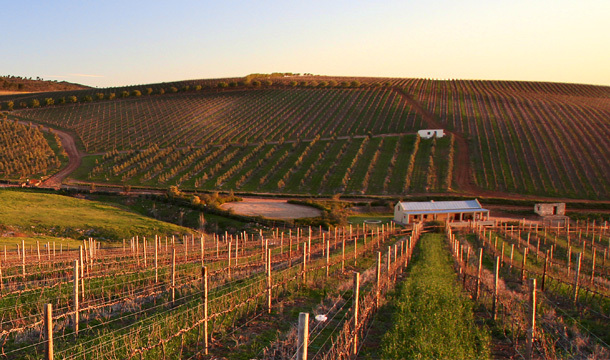 The easy drinking wine that is produced in the area can be tasted at any of the wine estates outside of town. Ormonde and Groote Post are two of the older estates in the area, their wines are amazing, both offer tastings to the public. 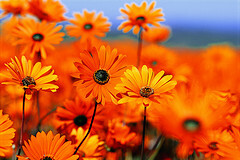 What makes Darling such a popular weekend getaway is the blooming flowers in the flower season and Evita se Parron. During spring the flowers of the Cape West Coast, Namaqualand and Cederberg bloom turning the area into a coloury, flowery wonderland. There is only one thing more popular than the flowers in the west coast and that is Evita Bezuidenhout and her Parron. The drag queen has her own theatre where she performs her stand-up comedy every weekend to a small crowd inside what she calls Evita se Parron. Pieter-Dirk Uys who plays Evita is renowned for breaking conservative boundaries and fighting against injustice. This little theatre is part of our heritage which makes it a must for those visiting Darling. 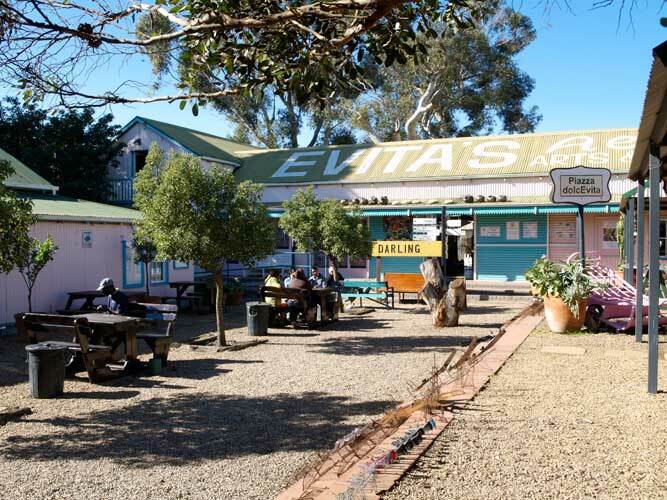 Local tip: Evita se Parron is the most important place to visit in Darling. Bookings are essential and be sure to order some local Darling wines at the bar and have a good laugh at one of the true legends of South African comedy. The town which is named after the river that flows past it is situated in the Overberg region at the bottom of the historic Houw Hoek Pass. This historic town has been given a new lease on life by bikers and the local farming community who have made the town popular again among people seeking a relaxing weekend breakaway. The heartbeat of the town, like many other small towns across South Africa, is the local hotel, namely the Botrivier Hotel. Here locals and tourists gather to chat about the day’s events and to tell old stories of days gone by. The area around Botriver is like many other towns in the Western Cape filled with great wine estates who produce word class wines. The area even has a wine route where you can taste wines at Beaumont, Gabrielskloof, Wildekrans and Barton to name a few. The area is a mecca for the Sunday lunch style restaurants, the best of which is the spread at The Shuntin’ Shed where they serve various roasts, pizza’s and deserts that is complemented with some great local wines and live music. Local tip: The best place to go and experience the local scene in Botriver is to go the Botriver Hotel. The setting is very unassuming but the vibe is laid back and welcoming. The bar serves up a great beer that is brewed locally and the best time to visit the Botriver Hotel is on Sundays when they serve home cooked meals in their traditional farmstyle restaurant. This town is at the end of what must be one of the most beautiful roads in the world the R44 which snakes from Gordon’s Bay to Pringle Bay along the Atlantic Coastline in False Bay. Pringle Bay has turned itself into a small artistic town without becoming commercialised or flooded by a mass of tourism. The roads and the commercial property in the town has undergone a recent revamp because of the influx of weekend tourists and the boom in the property market. The town is now filled with small coffee shops and clothing boutiques that is jam packed over the weekends with people who come to visit the small market that is held in the centre of town every Saturday. The Perigators Restaurant and Theatre is the most popular restaurant in town. Popular artists like Valiant Swart, The Akkedis Band and Albert Frost performs here regularly while those in the crowd feasts on authentic wood fire pizzas and fresh seafood. The Hangklip Hotel which is on the other side of town along a dirt road is somewhat of a South African institution. Like Perigators this hotel frequently has famous artists preforming here under the Hangklip Mountain. Sitting on the grass lawn in front of the hotel watching the sun set to the west makes the bumpy gravel road drive from Pringle Bay to the Hangklip Hotel all worthwhile. Local Tip: The best beach in the area is not the Pringle Bay beach but the beach at Hangklip just down the road from the Hangklip Hotel. Here one can pick fresh black mussels from the rocks, dive for alikreukel when the water in not to stormy. When the crayfish season is open Hangklip is the best place to catch these delicious creatures. Easter and December holidays are when the Crayfish season is open, be sure to get in the ocean early as it fills up very quickly with boats and divers seeking some lunch. 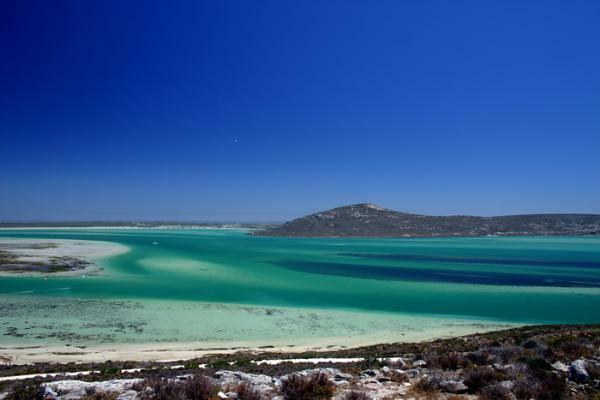 Langebaan is one of the most popular holiday destinations among South Africans seeking some sun during the December holidays. Langebaan has something for everyone, beach for the kids, casino for the gambler, sun for the parents and lovely fresh seafood for everyone else. Situated on the banks of the Langebaan Lagoon the town is known for its great water activities that it has on offer like water skiing, kite surfing and sailing to name but a few. 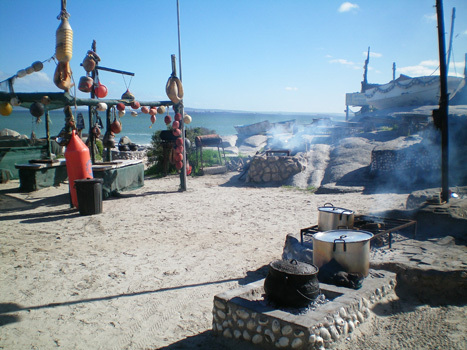 The fishing is also great along the Atlantic coastline and the Strandloper Restaurant serves up some of the finest seafood in all of South Africa. 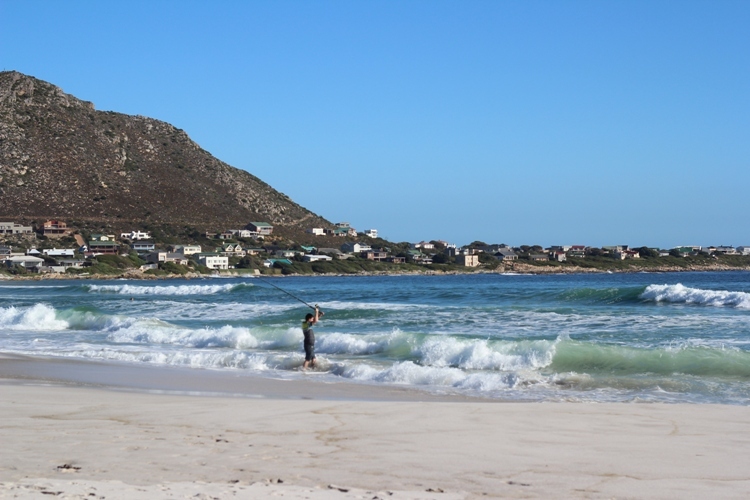 Despite being known for its great beach and fair weather, Langebaan has many other attractions that pulls the crowds in. The world class 18hole golf course that was designed by South Africa’s most famous golfer, Gary Player is one of them. The West Coast Fossil Park is also a popular attraction, here you can view one of the finest fossil sites in the world. One cannot speak about Langebaan and not mention Club Mykonos. This resort is modelled after the Greek island after which it was named. Here you can stay in a Greek style village in a white washed house with blue shuttles, just like in Greece. 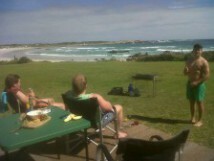 Local tip: Among the many attractions in Langebaan the most enjoyable must be experiencing the Strandloper restaurant. This restaurant is situated right on the beach and serves up a massive variety of seafood from Snoek, Angelfish, Stompneus and Crayfish as well as South African favourites like roosterkoek and koeksisters. Bookings are essential as this place is really popular over the weekends! The small town of Greyton is arguably the most tranquil town in all of the Western Cape. Couple this with the sheer beauty of the area and the beautifully preserved buildings and you get the perfect weekend getaway destination. Greyton was first a farm named Weltevreden which explains the peaceful and relaxed farm feeling that one gets when visiting the town. The peaceful and friendly town which is surrounded by mountains and farmland is characterised by thatched cottages and beautifully restored buildings which stand amidst beautiful well-kept gardens and oak lined streets. The peaceful surrounding of the town is only occasionally broken by the odd passing of a donkey cart or a horse. The craft markets and antique stores in the town is a dream for treasure hunters and bargain seekers alike. The tranquillity and beauty of the area has drawn many artists to the town most of whom operate on an open house policy. The town has accommodation in abundance catering for those seeking everything from a bed & breakfast, country lodge or self-catering accommodation. This town is the perfect weekend getaway for busy bodies from the city seeking a relaxing weekend getaway. 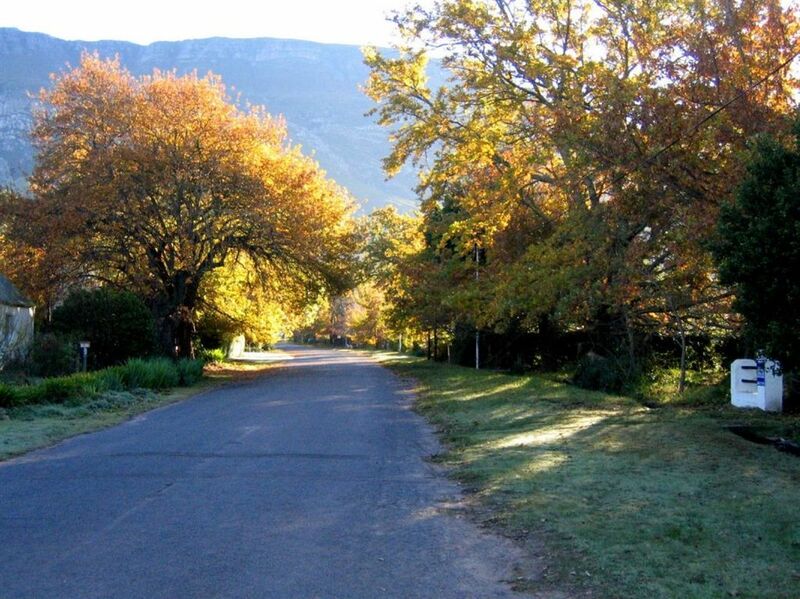 Local tip: One should come to Greyton with a mind-set of relaxation and exploration. The Saturday morning market is a must for visitors to the sleepy town. Here one will find amazing local preserves, pestos, cheeses and jams along with a wide variety of delicious baked goods. This town is not only a sight for sore eyes but also a heavenly destination for one’s taste buds. The home of the famous Wacky Wine Festival and one of South Africa’s most popular brandy distilleries Klipdrift, Robertson has many things to brag about not even to mention the beauty of the Robertson Valley. 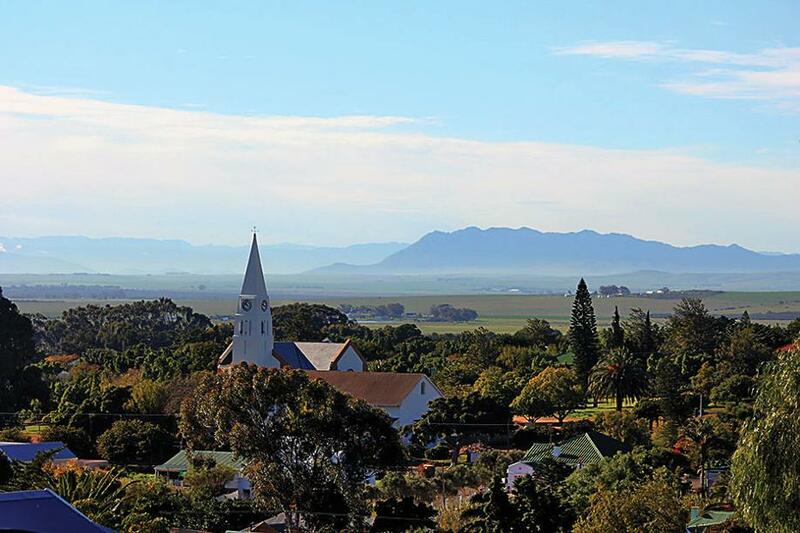 Robertson is at the Heart of Route 62 which is the longest wine route in the whole world. The route stretches from the banks of the Atlantic Ocean in Cape Town to the Indian Ocean in Port Elizabeth. The wine produced in this area is very easy drinking and the wine estates all provide wine tastings and some even have restaurants that serves lunch and dinner. Some of the most popular estates that is frequented by locals and tourists alike is Bon Courage, Van Loveren and Arabella. Coming to Robertson and not tasting the wines from the area is like having high tea without cake, unheard of! Despite being known for producing excellent wines and beautiful landscapes the town is also known for having numerous outdoor adventure activities that one can join in on. There are many hiking, mountain biking and horse riding trails in the area that one can walk or ride on. The river that flows past Robertson also provides water activities for visitors like the Kolgans cruise where you can enjoy listening to local music while either fishing, bird watching or just relaxing with a beautiful glass of wine from the Roberson Valley while cruising down the river. 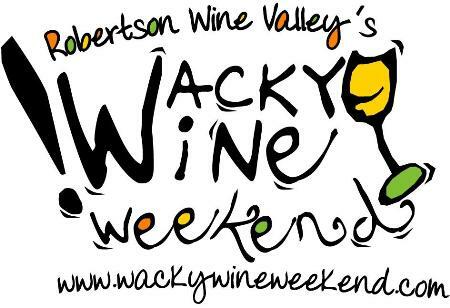 Local Tip: The best time to come is over the first weekend in June when the town hosts the Wacky Wine Festival. All of the local farms open their cellar doors to visitors who can come and taste their wines while being entertained by live music throughout the day.